Stories of the past inform and shape our understanding of the present. But what happened to the stories less shared, either in public institutions or private sphere? The Royal BC Museum as a public institution is committed to exploring, preserving, and sharing British Columbia (BC)’s diverse heritage. With guidance from the Advisory Committee and in partnership with the South Asian Studies Institute (SASI) at the University of the Fraser Valley (UFV), our work on the Punjabi Canadian Legacy Project (PCLP) Phase 1 in 2015-2017 resulted in the development of new collections, new online educational tools, and community consultations throughout the province. This work was made possible by the generous support from the H.Y. Louie Co. Ltd, as well as the strong institutional support from host institutions around BC. In the 2015-2017 Phase 1 consultations, communities have expressed the wish to create strong, diverse legacy projects, including K-12 and public education materials, travelling exhibitions to traditional and non-traditional public exhibition spaces, community engagement and development, and other communications. The Advisory Committee are currently helping to shape a fundraising plan for these projects. 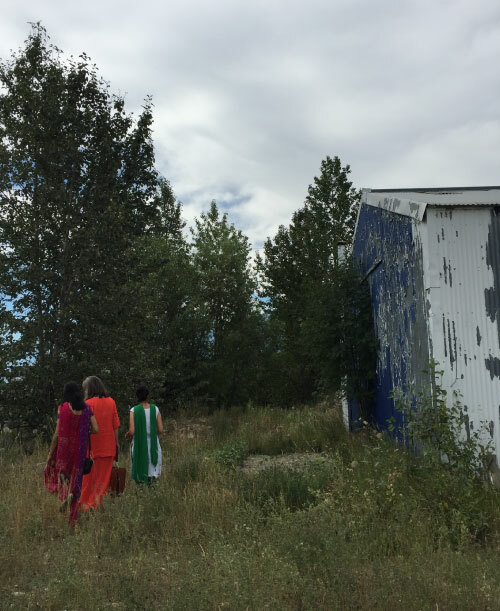 The site in Golden, BC believed to be the location of the first Sikh temple in North America in the early twentieth century. Following the consultations feedback, currently we are working on the Phase 2 of the PCLP with a modest BC Museums Association Canada 150 fund administered through the UFV, ending in March 2018. In response to community feedback on further outreach, the SASI and the Royal BC Museum collaborate to hold community workshops to continue engagement and collect family history. From summer to winter 2017, we completed workshops in Golden, Prince George, Paldi/Duncan, Kelowna, Vancouver, Surrey, and Abbotsford with support from the host institutions. The project coordinator stayed in each region to collect oral history after the workshops. By March 2018 we estimate to complete 80 interviews. The stories we have collected so far in the project reveal amazing connections of the Punjabi Canadian communities across the province and overseas. Over the course of this work, our community connections opened the project team’s eyes to community resilience and networks. 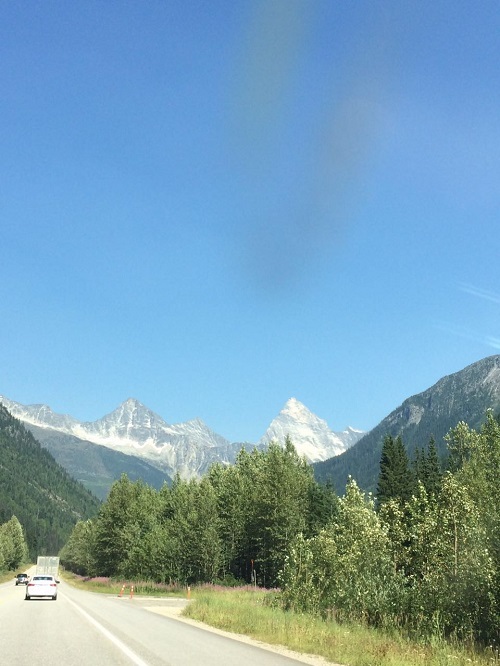 In July 2017, families with former ties to Golden, BC, a Rocky Mountain town where communities believe to be home to the first gurdwara in North America, held a reunion in Surrey. The event gathered 200 people from around the province who moved away from Golden for work or children’s education. The project team attended this reunion, and met some of the families again in Golden as they scheduled their family annual trips to Golden at the time of our community workshop. In Golden, we heard about the first Sikh wedding in 1972 from the broom and bride, Swarn and Balbir Patara. At the time there was no Sikh temple in the area. What communities believe to be the first Sikh temple in North America in the early twentieth century left no relics in Golden. They had to ship the utensils, religious items and even a priest from Paldi near Lake Cowichan to perform the wedding ceremony. 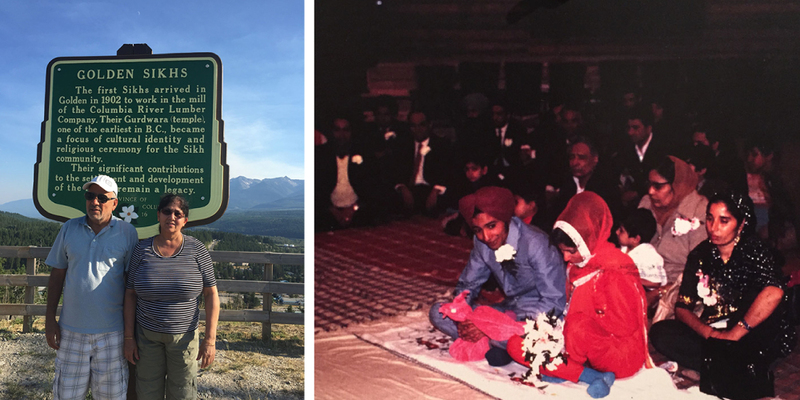 Left: Swarn and Balbir Patara, the first Punjabi couple to get married in Golden with a Sikh wedding in 1972, speaking to us about the local history in front of the plaque in Golden, BC. Right: Swarn and Balbir Patara’s wedding in 1972. 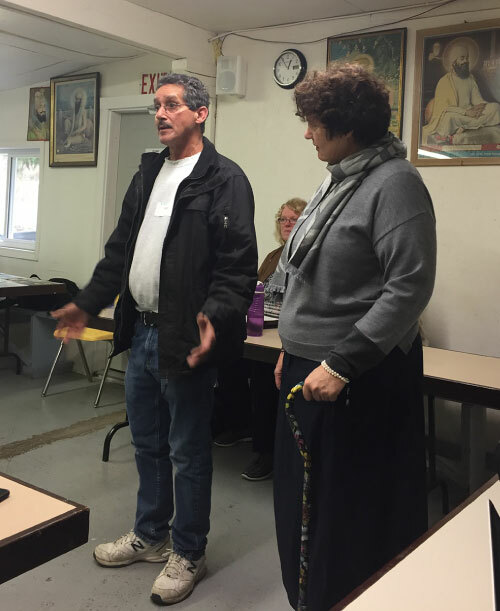 The two local hosts, Davo Mayo, the President of the Paldi Gurdwara and Kathryn Gagnon, Manager/Curator of the Cowichan Valley Museum & Archives, welcomed the attendees at the Community Workshop at the Paldi Sikh Temple in Paldi, BC in October 2017. In Paldi, we heard again about the traditions in the early days, stories that people shared in other communities as well. At the time, as the community population was small, people travelled to gather at different gurdwaras for holiday celebrations and commemorations together. For example, the Independence Day of India was celebrated at Masachi Lake Gurdwara, and Vaisakhi was celebrated in the Victoria Gurdwara. For these gatherings, all the community members got together in the temple from different cities, and to accommodate them, a lot of mattresses were stored at the temple premises. Many today remember it vividly and would love to keep this tradition alive. In the amazing journey of working on this project, the connections among many families and communities through generations and places that we have learnt along the way have been heartwarming and great motivations for us to continue this legacy building project. For more general info on the Punjabi Canadian Legacy Project click here. To see the Phase 2 project updates, click here. A short video on the Paldi workshop can be found here. 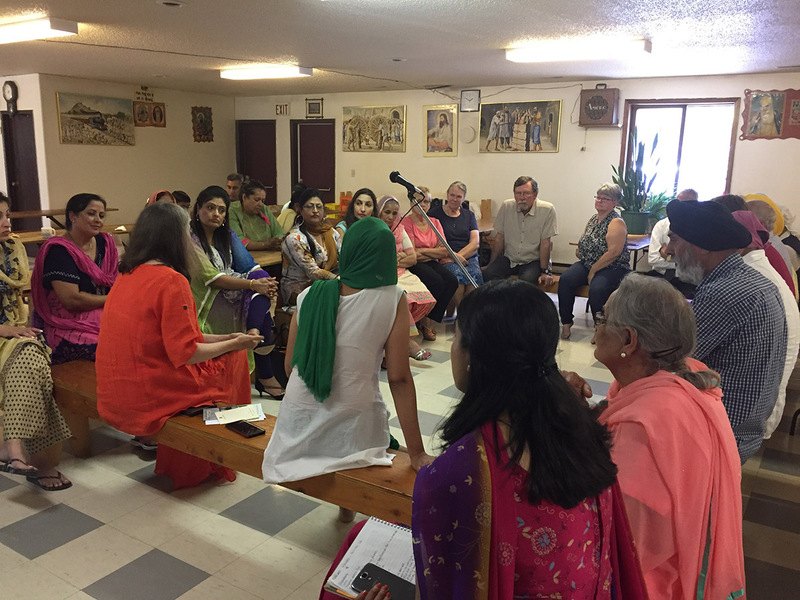 Community Workshop at the Golden Sikh Temple in Golden, BC in July, 2017. 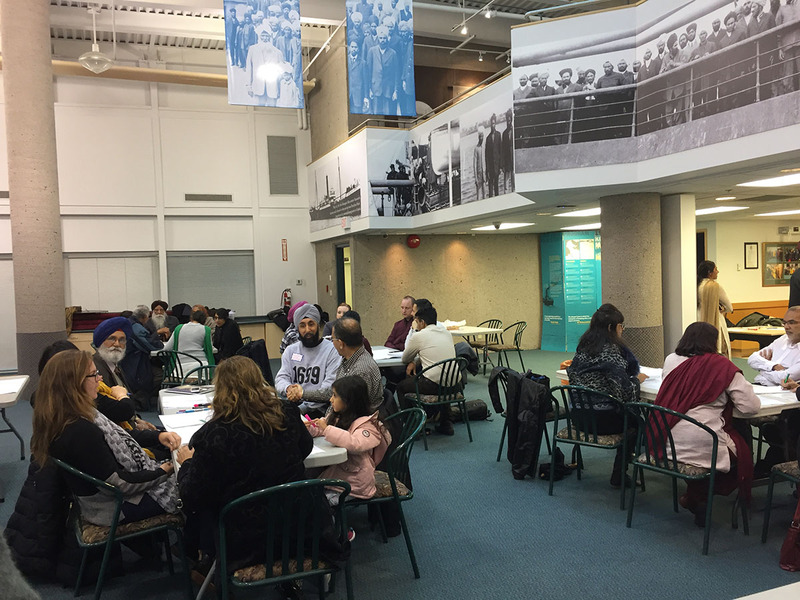 Community Workshop at the Ross Street Komagata Maru Museum at the Khalsa Diwan Society of Vancouver in November, 2017.